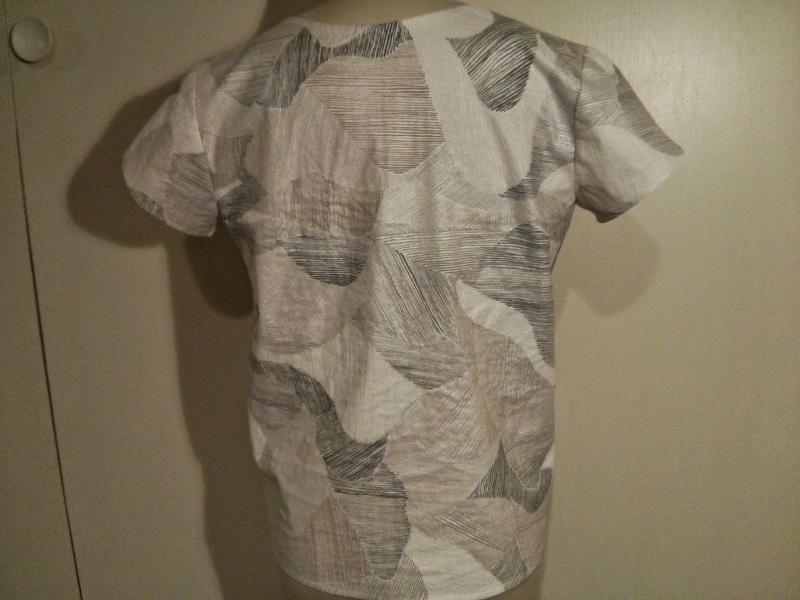 Melissa gifted me this fantastic Nani Iro Mountain Views fabric and I knew immediately that I wanted to make a Scout Tee. I had downloaded this pattern a while back, so it was taped together, cut out and ready to go. I didn't realize the fabric was double gauze until I started cutting out the pattern pieces. I just thought it was a woven cotton. 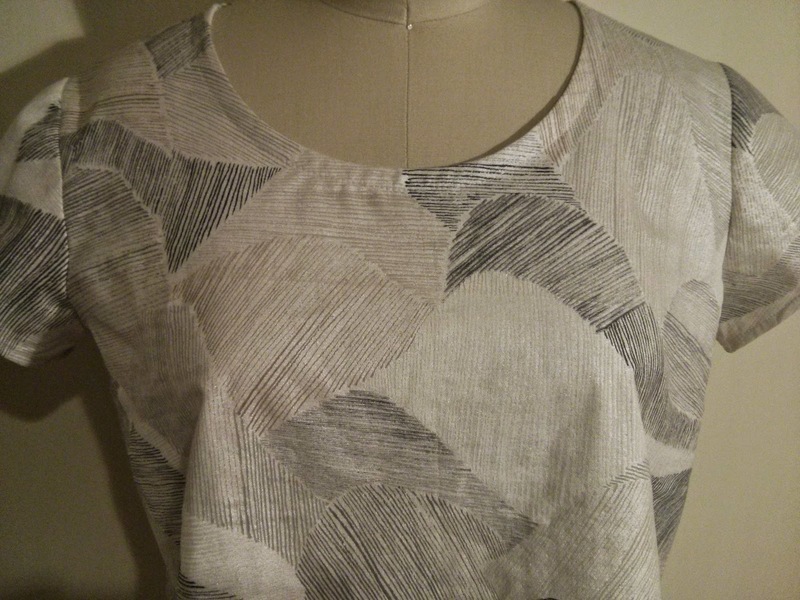 And you probably can't tell in the photos, but the pattern on the fabric is metallic, which I love. With only four pattern pieces, this project was quick. 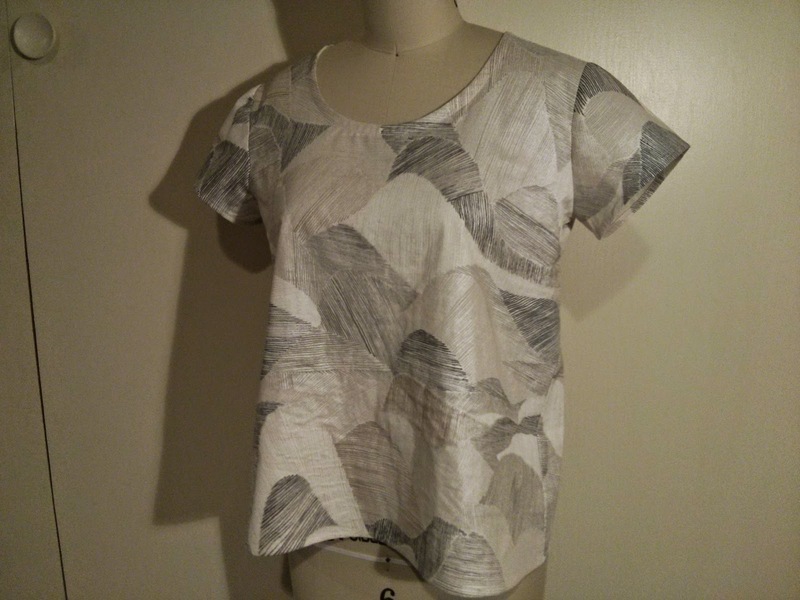 The directions were clear and thorough and would be perfect for a beginner sewist. 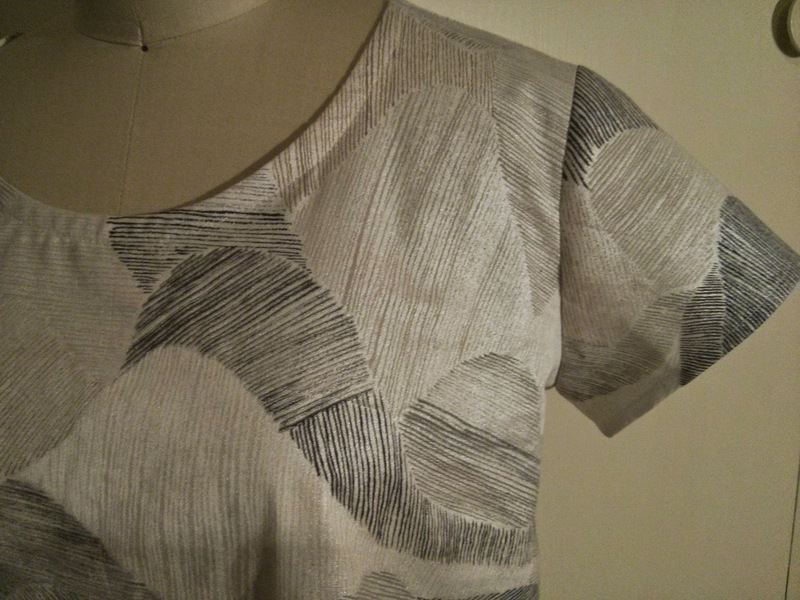 No modifications were necessary for this pattern and I love how it turned out, especially with this particular fabric. Oh I love your fabric! It's a nice marriage with the basic line of Scout.